Find a commercial property with the help of MoveHut. 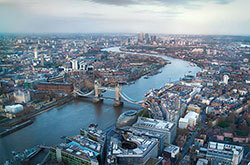 We have commercial property choices in the UK, organised by county, city and town. So whether you want to find a property in Greater London, or in Staffordshire, we have listings to help you find a great commercial property in the UK. We also list commercial properties in a range of categories and use classes. So finding a property in the industry you require is simple to achieve. We list properties from offices to retail stores and shops, in every location in the UK. England is the largest country in the UK, and has lots of counties and cities that are perfect for finding a commercial property. If you want to find a commercial property in the Northwest of England, or in the Midlands or the South West, MoveHut has plenty of choices when it comes to commercial properties. 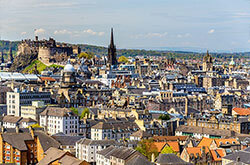 Scotland is situated in the North of the UK and its capital city is Edinburgh located in the Northwest of Scotland. Other large cities in Scotland are Glasgow, Aberdeen and Dundee which all have great transport links and thriving city centres, making them perfect for commercial property choices. Wales is part of the United Kingdom and has a population of over three million. Landlocked to England on the west coast, Wales has plenty to offer when it comes to commercial property. 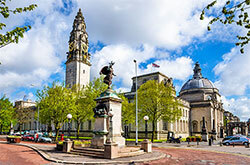 With major cities like Bangor, Newport and the capital Cardiff, MoveHut can help you find a commercial property in Wales, whether you want a city based property or a town based property. Finding a commercial property to rent is easy with the help of MoveHut. We can help you find a great property in any of the major cities in the UK, or the smaller towns in any of the countries, like Wales, Scotland or England. We list properties in a range of categories, like offices, serviced offices, retail and shop properties and warehouse and industrial properties to rent. If you're searching for a commercial property for sale, then MoveHut has lots of great property choices. We have properties to buy listed by location and category, meaning you can find a property to buy regardless of your requirements. So if you want an office in London, or a warehouse in Edinburgh, MoveHut has the choice to make your search easy. We list commercial properties in all the most popular towns and cities in the UK, meaning you get the best choice. Some of the more popular locations we have here at MoveHut in England are London, Manchester, Birmingham and Liverpool. The most popular location in Scotland are Edinburgh and Aberdeen, and in Wales the most popular locations are Cardiff and Swansea. So whether you want a property in England, Scotland or Wales, MoveHut can help you find it. We list commercial properties in all types of industry categories, suitable for all use classes here at MoveHut. From Offices and serviced offices all over the UK, to warehouse and industrial commercial properties. To find a commercial property in a specific category, simply navigate to your final town or city location page, and choose the relevant property category link. If you can't find what your looking for, simply use our search box to choose your location, property category, price and location distance and MoveHut will help you find a suitable property.